Forty years ago, I met a cadre of business designers and developers who called what they did Regenerative Business Design. They had led an extraordinarily successful revolution at Procter and Gamble that demonstrated a state-of-the-art approach to producing return on investment with people and assets. In an industry whose margins were collapsed to below 5 percent, they delivered earnings that were the envy of all industries. They then took the same methodology into banks and the chemical, paper, and food industries, each time with phenomenal success. They were the most studied success story of the 1960s, 70s, and 80s, and they received a great deal of attention from Harvard and its famous management faculty: Michael Porter, Rosabeth Moss Kanter, Michael Hammer, and others. Their approach to innovation in offerings and business models was copied widely but, because it wasn’t well understood by businesspeople, mostly without the same level of return. I picked up the mantel in the late 1970s and now have an extensive collection of my own case stories, all based on Regenerative Business Design. You can read a few of these in The Responsible Business. I wanted to name that book, The Regenerative Business, but Jossey Bass told me that no one would have heard of such an idea. Sustainability was hot and I was pressured to give it a title that would appeal to that market. But even so, I and many others were observing that the sustainability movement was falling short. People were searching for another idea. They knew that it had to deliver more than the “less bad,” which the reigning practices were settling for (and still are!). Many consultants, conference planners, and authors adopted new terms, seeking to show how they were moving beyond sustainability (my Jossey Bass editor’s first idea for my book title). The dissatisfied folks tried out resilience. They revived restoration. Some went back to renewal, which had been popular in the pre-sustainability days, and then a few started picking up the term regeneration and running with it. It was a lot sexier and less worn out. Regenerative economies. Regenerative cities. Regenerative business. This was a lot like what happened following the success at P&G. But borrowing the name has not produced the same outcomes. Only an understanding of the ideas and practices behind the name can result in transformation. This is first in a series of posts that will delve deeply into the etymology, history, practice, and even the science of regeneration. Regeneration is a paradigm and accompanying set of capabilities based on the awareness that every life form is unique and nested within other, larger living systems. Every life form grows and expresses itself in order to benefit the living wholes within which it is embedded and receives benefits from these wholes in return. It is capable of regeneration only to the extent that it is part of a larger, value-adding process. There are a lot of ideas packed into this definition, and all of them are essential to the meaning of regeneration. 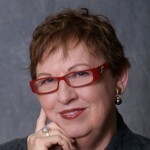 As a paradigm, regeneration is based on concepts and beliefs about how the world really works. It is not a prescription; it doesn’t describe how things ought to be. Instead, regeneration is knowledge based on the science of living systems, and in particular the science of lifeforms generated by DNA. As a capability, regeneration is not a prescribed way of doing something in the way that, for example, green building or recycling is. It is an ableness to see the world through a different lens, and as such it requires education and development. Without practice, one risks falling back into familiar, incomplete ways of seeing, such as misperceiving those people we are closest to as incomplete or fixed images rather than as their vital, unique selves. Unfortunately, this regenerative way of knowing the world is not taught as part of traditional education, for the most part, not even of advanced education. Regenerative work requires the recognition of singularity and the acknowledgment that no two living entities are identical, particularly at the level of their physical being and DNA. Every living being has an essence, a distinctive non-replicable core that is never created again but can be regenerated. Regenerative work must also be based on the understanding that every living being thrives or dies based on the whole systems within which it is nested. A microbe lives in soil, embedded into vegetation, within a specific watershed and ecosystem. Like all other biota, its wellbeing is determined by other aspects of these nested systems. Every other entity within these systems contributes to their working effectively or is extractive from the health of the whole. Understanding this reciprocity allows humans to intervene beneficially, to regenerate rather than extract, to leave behind us more life, rather than less. Regeneration consists of value-adding processes. Understanding an entity or endeavor as a value-adding process means to see it alive and unfolding toward fuller expression of its essence, becoming more of who or what it is, releasing more potential into its world. For example, when you know that the essence of sodium cyanide (the chemical used to extract gold from ore) is binding you can see how it might bind with other toxic materials in processes that would remove them from polluted or contaminated sites. Thus a toxic chemical that is currently used in a process that degrades ecosystems can be returned to its core, beneficial task. Value-adding processes become apparent within the context of wholes rather than parts. When a seed is dropped into healthy soil, it is nurtured by the whole soil system and the larger ecosystem within which the soil is nurtured. The seed grows into a mature plant, contributing food to the larger system and dropping more seeds into the soil. Looking at the plant in random moments or studying one or another of its phases cuts it into non-living parts. In the same way, looking at organs of the human body independently of their lives as whole beings nested within a human who is nested within a neighborhood within an ecosystem on a living planet is misapprehending them as static, partial objects and thus missing the full reality of their being. This non-regenerative perception of living beings makes it almost impossible to grasp the complexity of living systems in ways that would enable us to make truly regenerative contributions to our communities and the larger wholes within which they are nested. 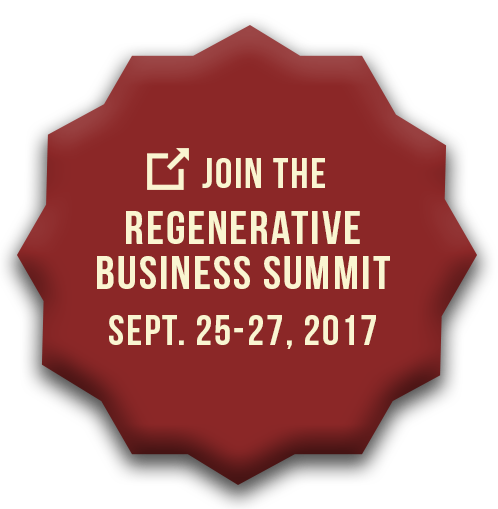 Join the disruptive dialogue to work on Regenerative business at The Regenerative Business Summit and be part of the solution. In the next post to this blog, I will look at seven phases of regeneration that are required before an endeavor or entity can claim it is working regeneratively. And later I’ll look at the six essential value-adding processes that are necessary for promoting the health, vitality, viability, and evolution of any entity or endeavor.